Your shower curtain is the largest decorative element in your bathroom, so we put extra care into the design and craftsmanship of each piece. Choose from a wide variety of solids, prints and textures in colorful fabric or waterproof PEVA. 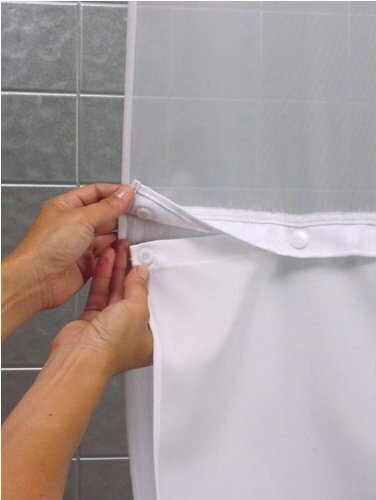 What’s best, you won’t need to purchase separate hooks because of our all-in-one Hookless curtain system note : White, Machine washable.Item is a snap in liner for the shower curtains not a full curtain.